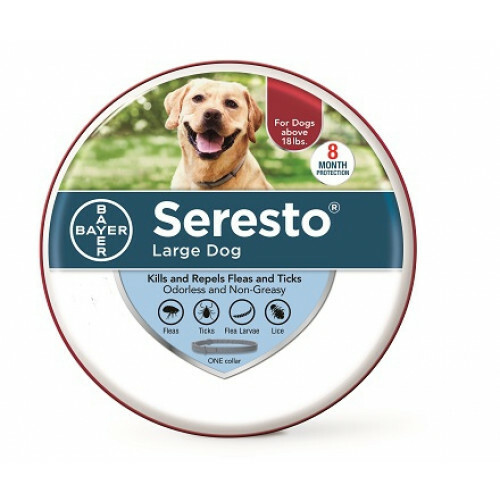 Bayer Seresto Flea Collar for Dogs is designed to protect your dog by repelling and killing ticks and fleas. This easy-to-use collar offers a topical performance to help your dog avoid organisms that cause disease, which are often carried by fleas and ticks. 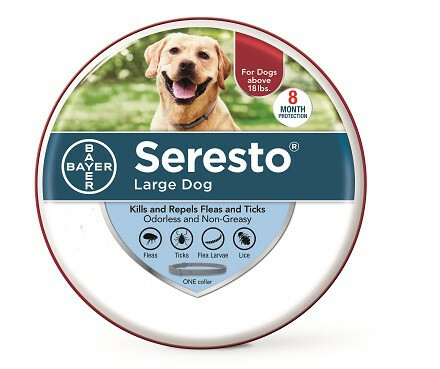 The Bayer Seresto Flea and Tick Collar is odor-less, non-greasy, and safe for dogs of all sizes and breeds. The Seresto Flea Collar for Dogs is waterproof, which allows your precious pup to be protected during bath time or while swimming. It features a release mechanism that can be easily be triggered by your pet in the event of being snagged or caught. The active ingredients of this collar are effective for up to 8 months.